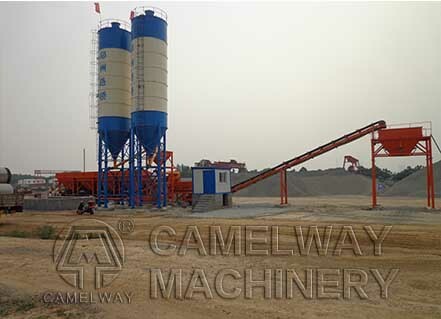 The simple type of concrete mixing plant in the production capacity is destined to be lower than the standard mixing plant. The reason is that they have different configuration. Simple concrete mixing plant generally adopts manual or semi automatic control system while the standard type of concrete mixing plant adopts the full automatic control system. Although the output of concrete mixing plant is the most concerned question of users, it can’t be treated as the necessary factor to choose the concrete mixing plant. We know that whatever which kind of equipment we choose, the most important thing is to choose the suitable one for us. For different users, we Pioneer machinery create different specifications of concrete mixing plant, the purpose is to make the users be more reasonable, more ready to identify the value of equipment when they are choosing. Therefore, when choose the concrete mixing plant, users can not be able to complete the transaction just for one reason, a reasonable choice is important.